Royal Wharf, Ballymore and Oxley’s new riverside neighbourhood in London’s Royal Docks, will host an Oktoberfest beer tasting event on Thursday 11th and Friday 12th October 2018, 6.30pm – 9.30pm. Putting a British twist on the Bavarian festival, guests will be able to sample a selection of locally brewed Fuller’s beers, each paired with a unique dish to bring out the full flavour of each drink. Held in partnership with Fuller’s, London’s leading brewery and pub chain who will soon be opening a pub at the development, the beer tasting will take place in the Royal Wharf Marketing Suite overlooking the River Thames. With sweeping views of Greenwich Peninsula and the Thames Barrier, beer enthusiasts will have the opportunity to sample some of Fuller’s most famous creations, while discussing the flavour and complexities of each beer with Fuller’s team of expert sommeliers. 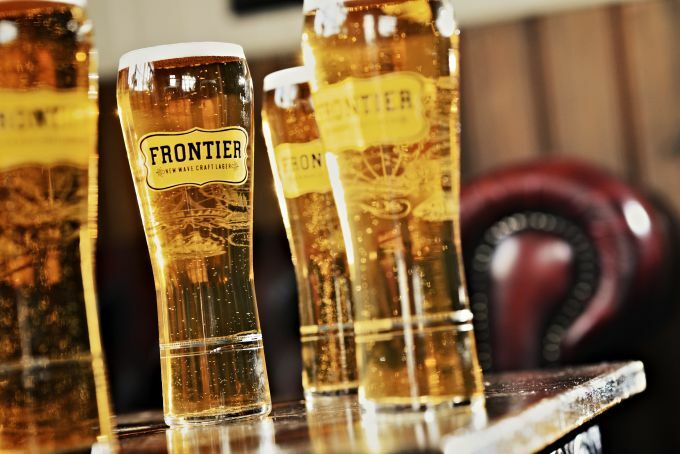 Fuller’s iconic London Pride will be paired with baked camembert and redcurrant jam, while Frontier will be complemented with bratwurst in a beer and horseradish mustard. For a hearty alternative, guests will be able to sample Black Cab Stout alongside a rich caramelised onion and bacon Spaetzle as well as London Pride Unflitered with a herbed veal schnitzel. Fuller’s ESB, twice named World Champion Beer, is paired with a delicate Bavarian blue cheese, with Honeydew and beer-infused pretzels concluding the unique tasting menu. The Oktoberfest event follows the announcement in January this year that Fuller’s will occupy a prime commercial unit in the first phase of the development. Known as The Windjammer, the new pub will have direct river frontage and a 2,000sq ft. area for alfresco eating. It will deliver the excellent food, drink and service experience that Fuller’s pubs are famous for and is scheduled to open for business in Spring 2019. Located in the heart of the Royal Docks £3.5bn regeneration area, Royal Wharf is a vibrant new neighbourhood which combines prime waterside living with state-of-the-art amenities, connectivity and open green space. Next year’s opening of The Windjammer by Fuller’s is the latest in a long line of commercial tenants at Royal Wharf, including Sainsbury’s and Starbucks outlets which both opened for business in 2017. Further bars, restaurants and health & wellbeing facilities will be unveiled over the coming year for the benefit of residents and the local community.